UU A Way Of Life: What is the ultimate trust? What is the ultimate trust? In A Course In Miracles I am reading the section in the Manual For Teachers entitled "What are the characteristics of God's teachers?" The first characteristic described is trust which seems to mean trusting in the Will of God and the Course describes 6 steps the student goes through in developing this trust. Life's big teacher of trust is grief, because until you have lost things which you thought were important to you, you have not had to "sort out" what you really value. We come to a point in our lives sooner or later when we realize that "stuff" and money and power and "special relationships", all the things the world has taught us are important, are really not important. 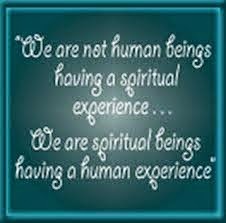 This awareness is a huge step in our spiritual growth. Jesus tells the rich young man to give up everything he has and "come follow me." The rich young man is not ready and he turned away. Most people in our society are not ready and turn away as well. Once we have come to the awareness of the impermanence of this world and have accepted it as "natural" we experience some peace of mind, but we once again come to face our judgementalness and realize that we do not know what we want and finally we realize that we only want what God wants for us. As St. Paul says, "If God is with you, who can be against you?" Perhaps St. Paul got this wrong because it seems to me it should be "If you are with God, what can can harm you? There is nothing no longer to fear and you have realized that you are love." When we die, if we die consciously, we surrender our mortal existence for the purely spiritual realm. The corporeal shell is given up or taken from us depending on our choice. Surrendering takes great trust. Trust in the love of God. Some people get there before they die, others when they die, and others never do. Unitarian Universalists covenant to affirm and promote the "respect for the interdependent web of all existence of which we are a part". This doesn't quite get to the level of Trust which the Course talks about but it does point to a willingness to surrender to something bigger than ourselves which is a step in the right direction. Take away today - What really matters to you? How would you respond to Jesus' invitation to give up everything and come follow Him? 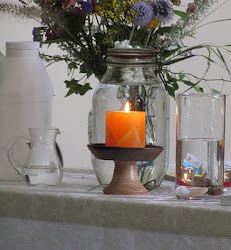 What do you grieve for and what do you think of your grieving? Do you understand what is happening at a spiritual level or are you protesting what is happening on the earth plane, an illusion that we have only made up?